One of our favorite stores, The Skinny Dip, now has a brand new, beautiful store on the island! The week before Thanksgiving, we met with the sweet and stylish owners, Sara and Taylor, as they were setting up the store to get a sneak peek of some of their new clothes, handbags and jewelry. Everything is adorable, and today we are sharing some of our favorite resort and holiday looks from the lookbook we shot with them! 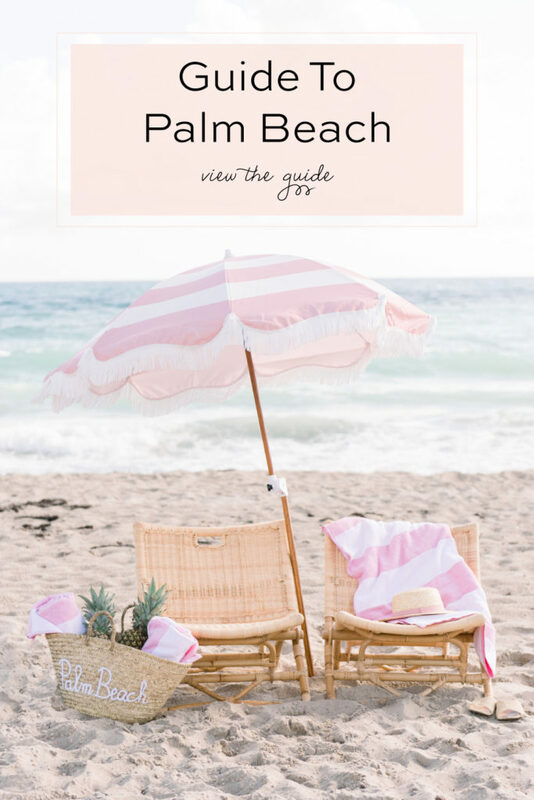 Palm Beach is known for perfect winter weather, and our first looks are ideal for an island getaway! We love that the white jumpsuit by Taylor’s own line, Ellsworth and Ivey, and this floral mini dress can be worn day or night to one of our favorite island spots, The Colony Hotel. We paired these pieces with raffia and tassel earrings and rectangle and round bags from Sara’s line, Beau & Ro, and sunnies and espadrilles to blend in with the retro decor! For a classic Palm Beach experience, we love strolling down Worth Avenue. The palm tree lined street has the most colorful awnings and the best people watching! On this day, we wore navy and crochet maxi dresses that are great options for cooler island weather. We love the boho style and details on both of the dresses and paired them with Beau and Ro’s super stylish raffia and tassel earrings and multi circle and bucket totes! When we were getting a sneak peek of The Skinny Dip, we spotted a pair of dresses that are so pretty for the holiday season! 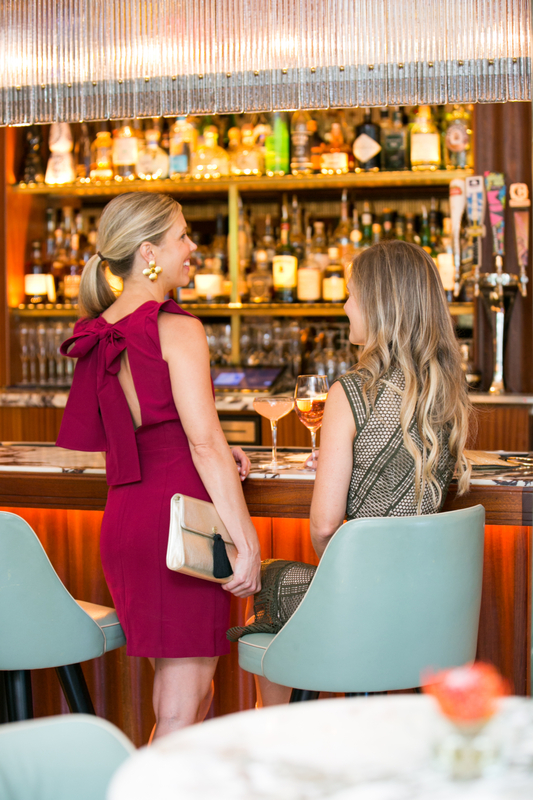 The cranberry colored dress with a beautiful open back bow and the green lace dress are perfect for a holiday cocktail party or dinner with friends at one of our favorite restaurants, Sant Ambroeus at The Royal. We paired the flattering cocktail dresses with rose stud earrings, a champagne evening clutch and a ring wristlet! 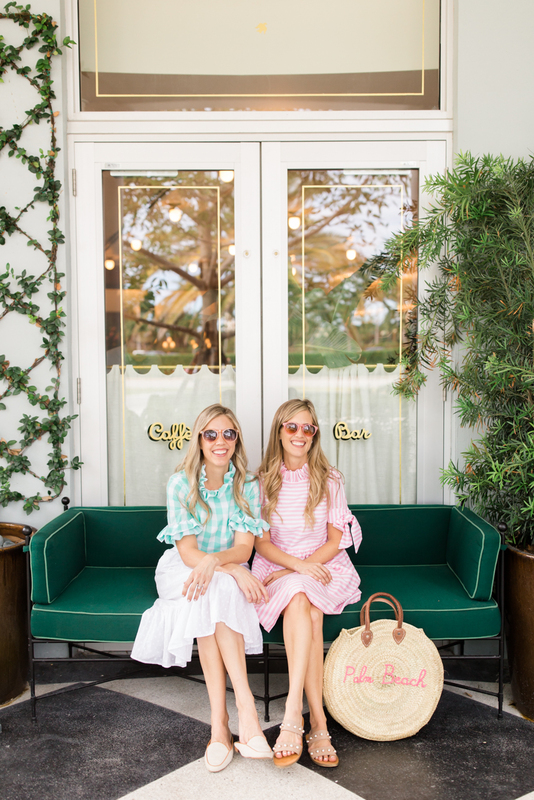 Nothing says Palm Beach like pink and green, so when we spotted these fabulous green dresses, we had to take them for a spin in one of our favorite vias off Worth Avenue! The fitted striped dress and flowy maxi caftan are fresh takes on old Palm Beach style that we love so much. To complete the looks, we paired them with multi circle and rattan totes, green palm and white beaded earrings, floral heels and big sunnies! The last pieces that we are very excited about are The Skinny Dip’s new Palm Beach sweaters! 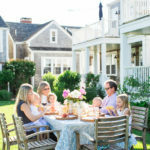 We were dreaming about Palm Beach sweaters since we spotted their Nantucket sweaters on ACK two summers ago, and now they are here! They are so comfy and cozy, and we love wearing them with white or regular jeans and loafers for a cool day. They also look really cute with these green palm or white beaded earrings from their new store in PB! 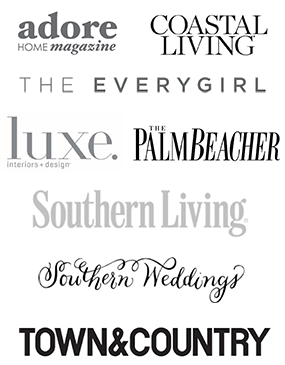 *Thank you to The Skinny Dip Palm Beach for partnering with us on this post!